I’ve been posting on social media lately, raving about my homemade egg nog. 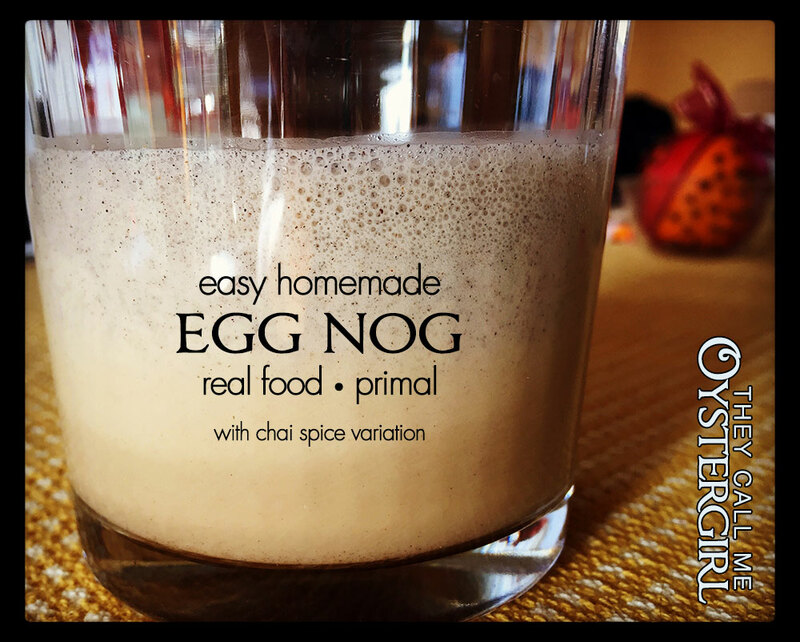 This also became a short blog post: Add egg nog to everything! 6 farm-fresh eggs—literally farm-fresh eggs, not just eggs you buy in a store labelled Farm Fresh(TM). You will be consuming these eggs raw, so for me that means trusting where they come from. 1/4 cup natural sweetener of your choice—I like coconut palm sure or grade B maple syrup the best! Local raw honey is also great, and probably the best option, but if it's too gritty (like mine), it may not blend well. Store in the fridge. Shake heartily before serving, as seasonings may settle, plus it's nice when it's frothy. Best served chilled. Optional: A dash of freshly-grated nutmeg on top. Thanks V! Will be gathering ingredients this weekend, oh yeah! Oh yeah, I forgot to mention. I did put a bit of rum in mine this evening just for…whatever, so I could sip on it while watching another episode of Poirot season 13. What fun.